I’m not sure if I’m the only person who feels like a good portion of my time at the campsite consists of cooking. Sometimes I feel like once I have finished cooking and cleaning up after a meal, that it is almost time to start thinking about prepping for the next meal. 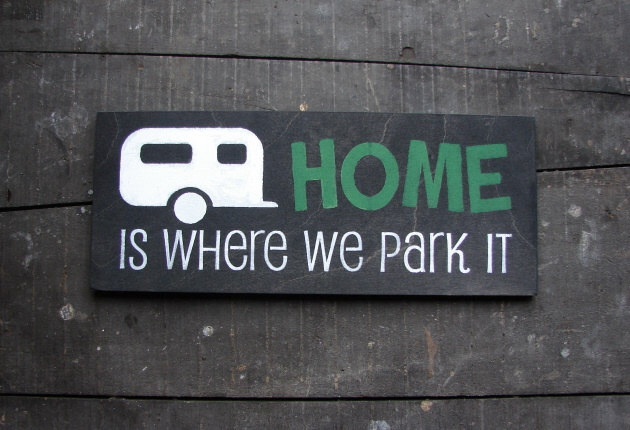 But that’s ok – because we are camping! We are supposed to relax, let life slow down and smell the steak sizzling on the open fire roses. There are a few items in our camping kitchen that we rely on and that we don’t leave home without. I’d like to share these items with you now as sort of our top 5 list: camp kitchen equipment edition! 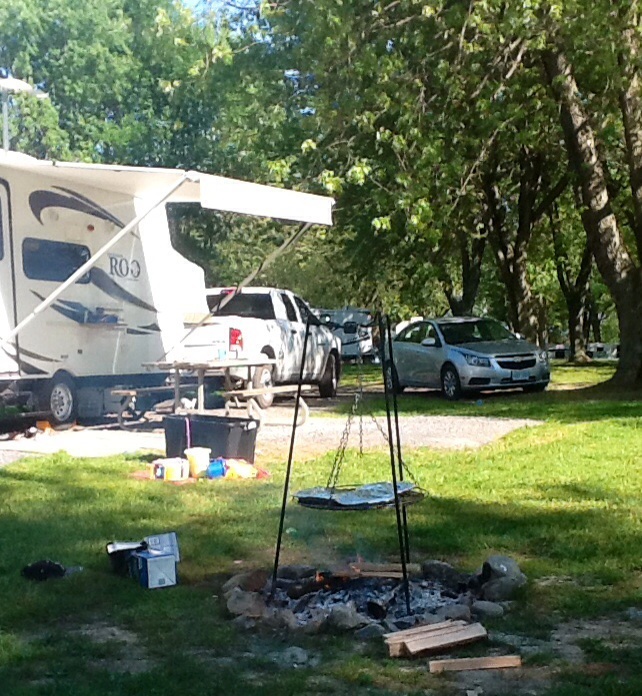 An ode to the Rome Tripod Grill – oh how we could not camp without you. 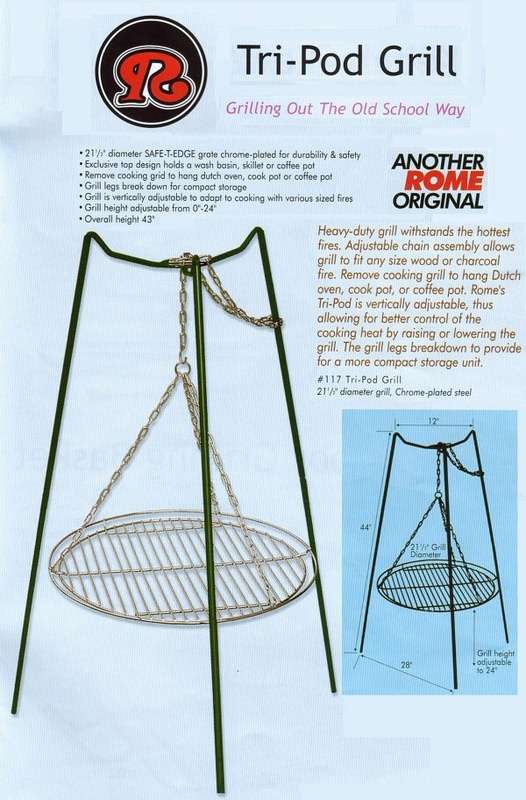 We have had a few different styles of campfire grills in the past, but none could compare to the Rome Tripod Grill. The three heavy duty legs are detachable and breakdown to a nice size for easy transport and storage. 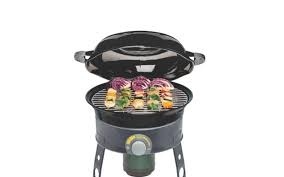 The grill height is adjustable, thus enabling you to control your cooking temperature. We have even used it as a smoker by wrapping the entire tripod in aluminium foil. It’s been such a big hit that random people stop at our campsite to ask us where we purchased our grill from – every single time we use it. The best steaks, chicken legs and veggies have come off of that grill. Our next go-to item is our Cadac Safari Chef Stove. We purchased this jack-of-all trades last year before our two week camping trip. It runs off of propane and comes with a lid/wok, reversible grill plate, wire grid, top and bottom deflector plates and stove stand. To top it off it comes in a very handy carrying case. 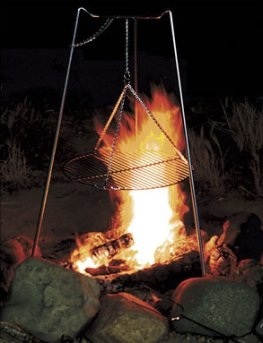 It provides an even cooking temperature when levelled out on a picnic table. My husband loves to make his eggs on it in the morning. You are getting a lot of bang for your buck with this stove as it is multifunctional. The next item that every camper should have is the Coleman Cooler Light. It’s not a big item, but it definitely brightens up our camping trips. The Coleman Cooler Light is a waterproof nightlight for your cooler. Simply put the 3 AAA batteries inside of the waterproof case and throw the light into your cooler. 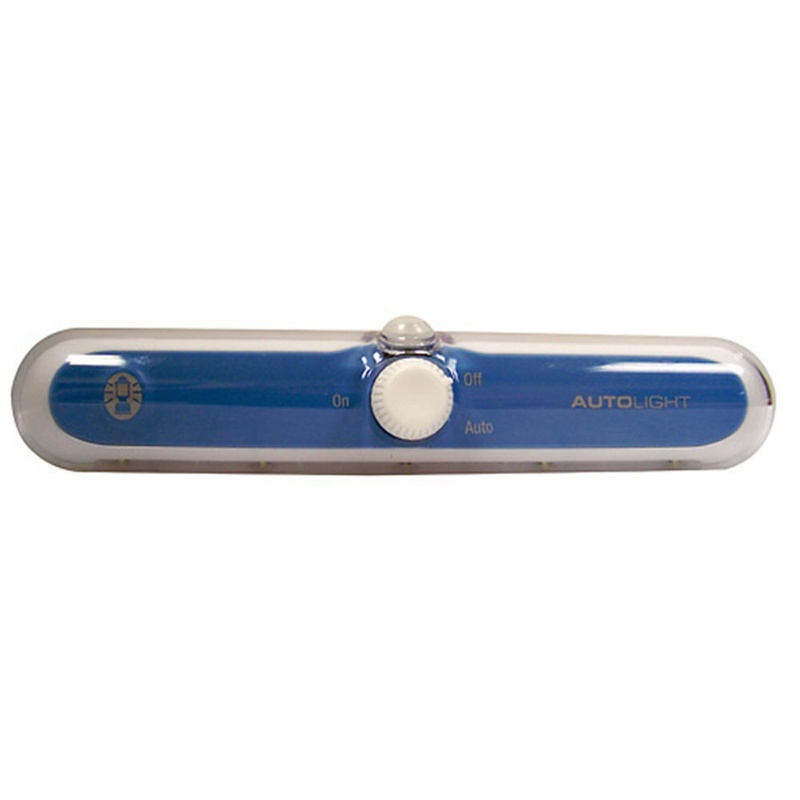 The light activates by motion sensor, so when you open up the cooler the light turns on and will remain on for a short while. It makes it very easy to find that last can of “Pepsi” in your cooler. I like to give the Coleman Cooler Lights out as gifts to my camping friends. Speaking of coolers, the next item on our top 5 list would be a good quality cooler. 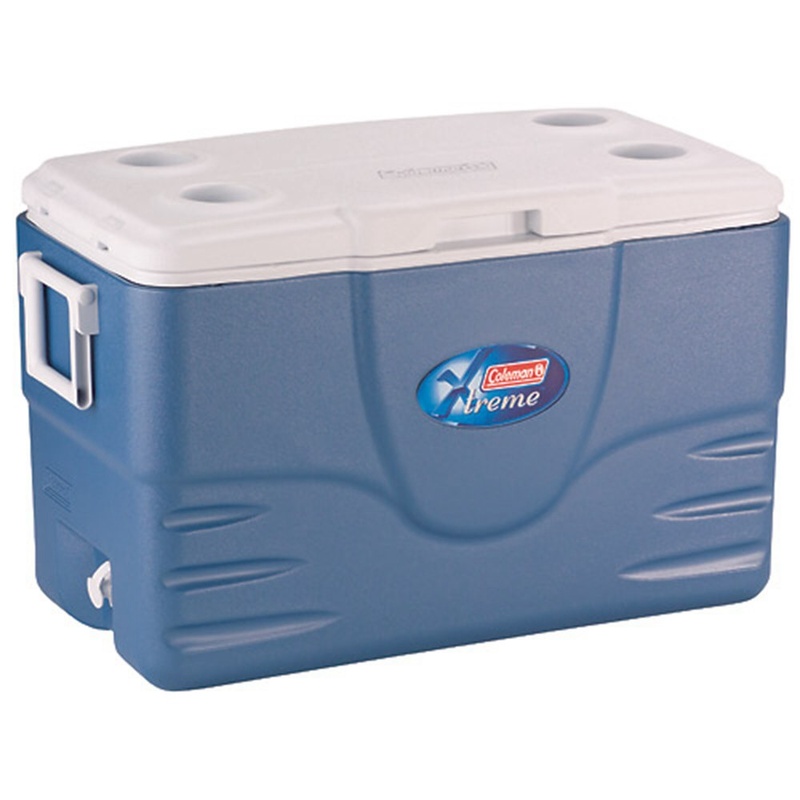 We personally like to use Coleman Xtreme Cooler. Specifically, one that promises to keep ice for 6 days or more. 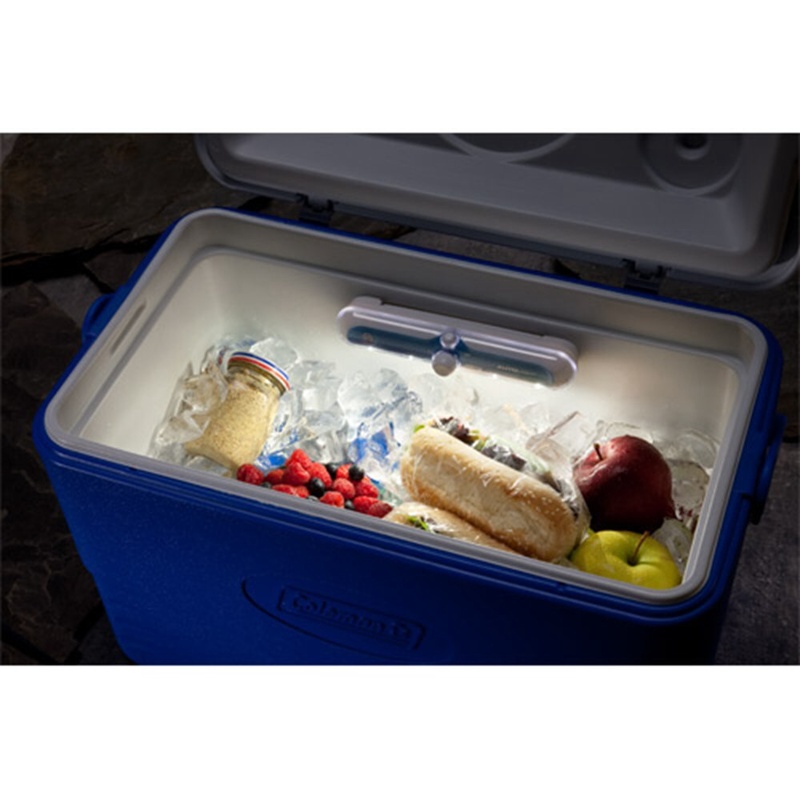 The Coleman Xtreme Coolers do an excellent job of keeping your food and beverages cold during those long hot summer days. We save a lot of money on ice when we use our Coleman Xtreme Cooler. 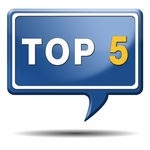 Finally, the last item on my top 5 list would be my slow cooker. I know, I know – that’s not true camping! But we do own a trailer and every once and a while I would rather be out spending the day with the family at the beach and not worrying about what’s for supper. Before a camping trip I will plan out my meals and usually incorporate one or two slow cooker meals. If I am really organized, then I will prep the slow cooker meal ahead of time and freeze it in a ziplock bag. Not only do I have one meal prepared, but I also have a gigantic block of ice to help keep my cooler cold. 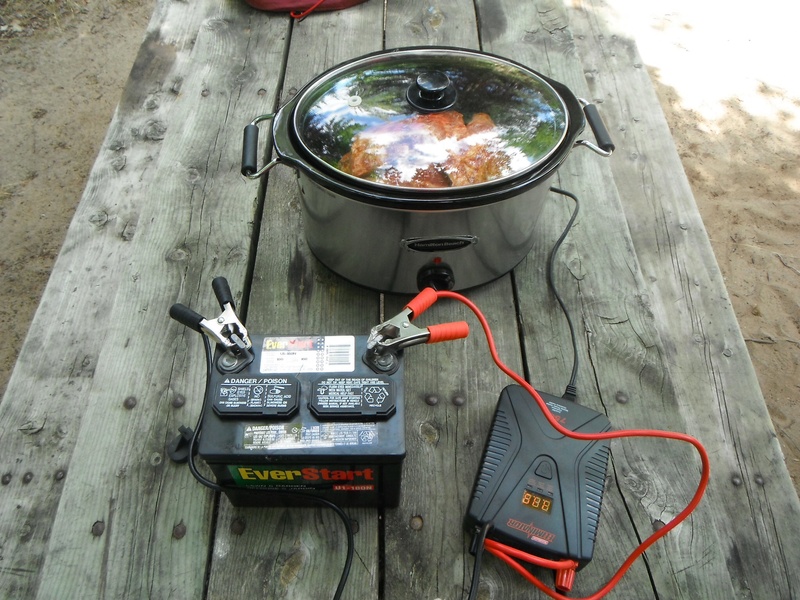 Once we even tried to run our slow cooker off of a car battery – it didn’t work out so well! 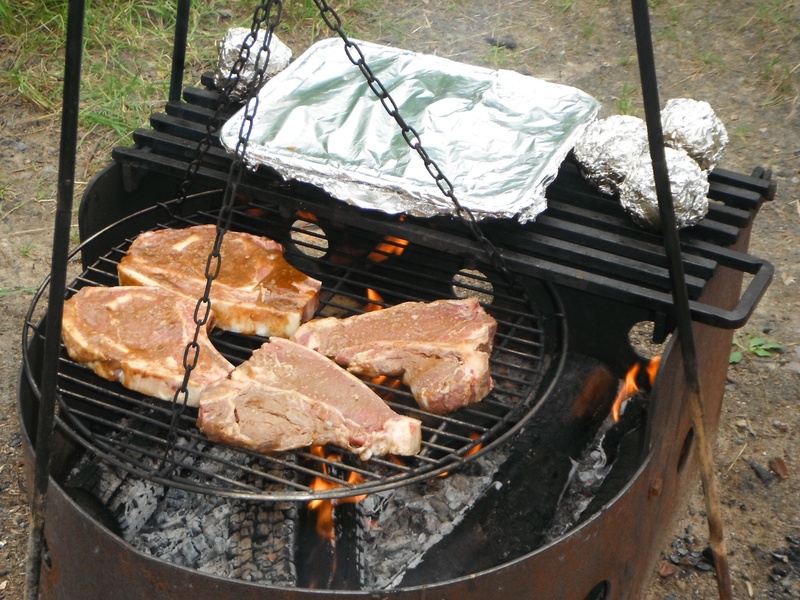 Well I hope these items inspire you to cook out in the great outdoors. Maybe sometime I will tell you about our campfire poutine stories – they are legendary! I would love to hear about your favourite camping kitchen item. This entry was posted in Cool Camping Gear & Gadgets and tagged Cadac Safari Chef Stove, Camping, Camping Equipment, Coleman Cooler Light, Coleman Xtreme Cooler, Cooking, Food, Grill, Kitchen, Product Review, Rome Tripod Grill, Slow Cooker, Top 5, Travel. Bookmark the permalink.